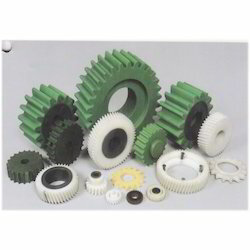 Pioneers in the industry, we offer gears with & without metal box, gear pinion, dryer spur gear, spur gears and guides, pinion & sprockets from India. Being a quality oriented firm, we are engaged in manufacturing and supplying the best quality Gears with & without Metal Box that is used to connect parallel shafts. Offered product is examined by our quality controllers so as to dispatch a defect free range. Our product is manufactured by professionals using high quality material and advanced techniques in fulfillment with prevailing market trends. Clients can avail this product from us at competitive price. With rich industry experience and knowledge, we are offering our clients a wide array of Gear Pinion & Sprockets. Our offered product is acknowledged among customers for its superior quality. This product is manufactured under the visionary guidance of experts utilizing finest grade material and latest techniques in conformity with set industry norms. Besides, offered product is properly checked on different quality parameters assuring its excellence at customer’s end. 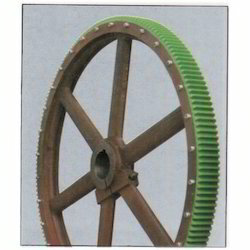 We are the prominent manufacturer and supplier of a broad assortment of Spur Gear Dryer. This spur gear dryer is available in various specifications as per the requirements of customers. Our offered spur gear dryer remains in great demands across the industry due to its excellent quality. We manufacture this spur gear dryer using sophisticated techniques and high quality material in adherence with the set norms of industry. 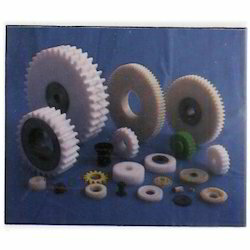 Supported with rich industry experience, we are engaged in manufacturing and supplying Spur Gears that are used in different parts of the machinery. 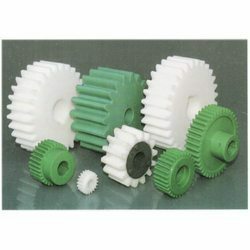 The offered spur gear is developed with the help of top quality material and modular techniques in compliance with set industry standards. 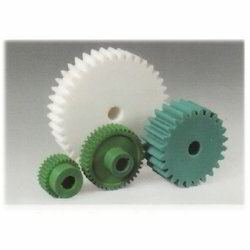 This spur gear is made obtainable in number of specifications for our customers to choose from. Clients can avail this spur gear from us at nominal price in a stipulated time. Segments can also be changed without unloading the gear thus saving precious machine down time. We are one of the proficient manufacturers and suppliers of an extensive range of Guides, Pinion & Sprockets. Available in various diameters and shapes, these are widely used in various industry appliances across the globe.